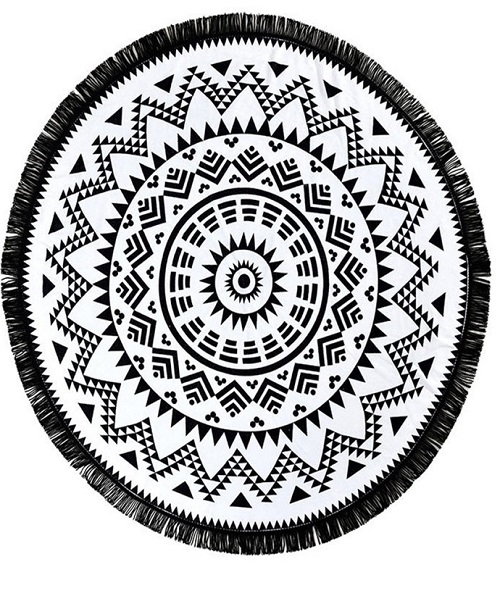 Aztec Print Tassel Rim Beach Blanket BeachWear cover ups - Beachwear Elite Occasions have a white selection of beach cover ups on offer for you bodacious beach babes this season. From exclusive floral blooms, to multi-coloured bohemian hippy styles, not to forget the ever popular crotchet beach tops with that laid-back feel. 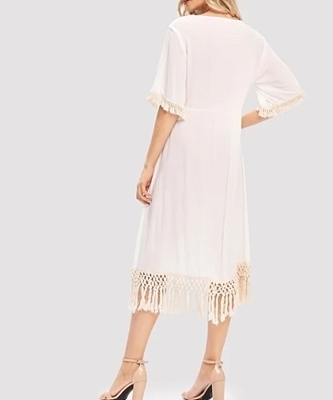 There's voluminous kimonos, white slip-on dresses and Beach accessories to tickle your fancy. 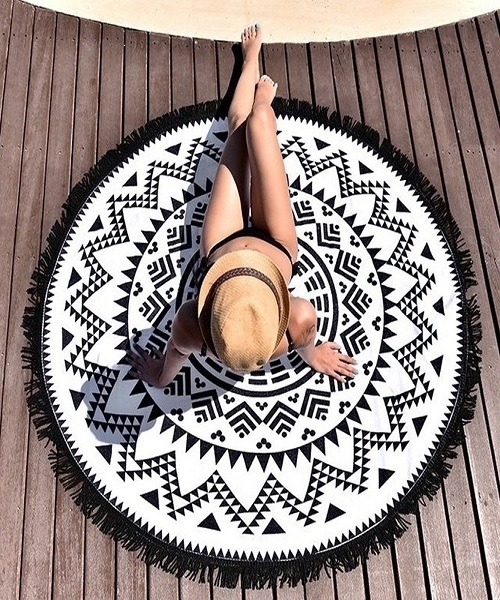 A beach cover up is perfect for beach or poolside occasion, dress up or down for that laid back beach summer feel.